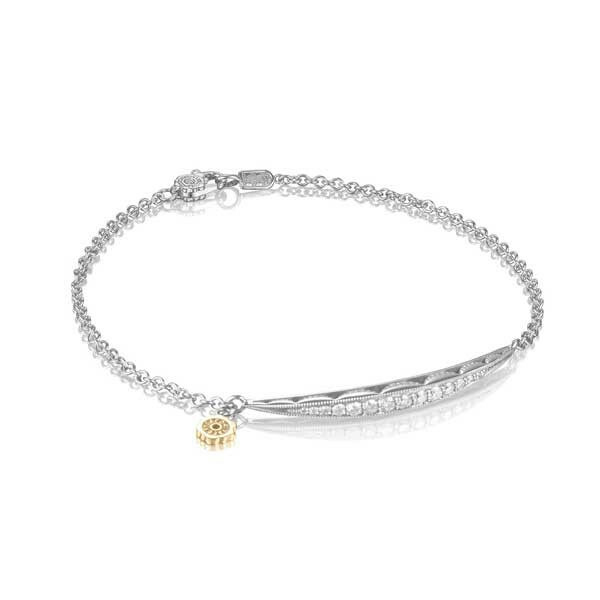 Tacori's Tendril bracelet from The Ivy Lane collection is a classic. Links of sterling silver connect to a delicate bar that is encrusted with diamonds and etched with the crescent motif. The Tacori seal in 18kt yellow gold dangles from one end of the bar like a small charm, and a lobster clasp keeps this dainty piece on your wrist. Add this charming touch of Tacori to any outfit.